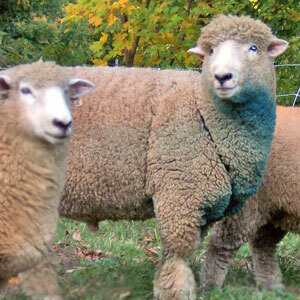 This Romney flock began in 1981 at Wethersfield Farm in Amenia NY, under the flock name Wethersfield, with the purchase of 3 ewes from Brenda Bothe (NJ) and of a ram from Peter and Patty Drape (NY). In 1992 we moved to a 250-year old farm in Saugerties, NY and changed the flock name to Anchorage to go with the name of our new place. 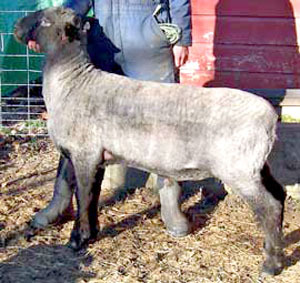 Additions of white ewes since 1981: in 1982, one Sattler (MI); in 1984, one Oaklawn (MI);in 1985, two Kessi (OR); 1987, eight Judah (WA); in 1988, fourteen Bellairs (MI), 3 Loesch (MI), 2 Gavin (MI), 1 DeBano (MT), 1 Williams (MI); in 1989, two Judah (WA); 1992, two North Star (VT), 1 Rogue Romney (OR) and 13 Judah (WA); in 1994, three Judah (WA) and 11 Running Battle (NY); in 1995, five Marsh (MA); in 1996, one Bolton (NY); in 1997, one Gavin (MI); in 1998, twenty-six Nudd, 2 Guild, 2 Allou (NY), 1 Bristle (MI), 1 Sandhill (Ullman); in 1998, one Bullock (WA), 1 Kikitangeo (Imp NZ); in 2005, eight ewes from Pin Oak Farms (OR). The North Star and Running Battle ewes were nearly all Judah first or second generation. 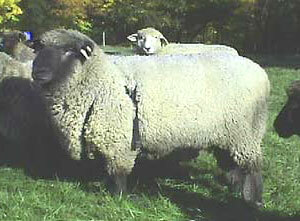 In 2011, 1 ewe from SOR (OR) and 1 ewe from Smiling Sheep Farm (NH). 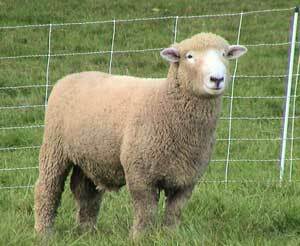 In 2012 we added 1 white color-carrying ewe from Applewood Acres (NY). 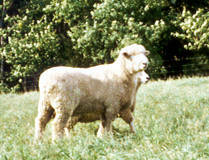 Natural-colored ewes: in 1995, one Rozalia (MA); in 1996, one Weymouth Walk (NJ); in 1997, nine Bellairs (MI) and 2 Weymouth Walk (NJ); in 1998, one Sears (OR), 1 Sand Hill (Hordyk) (WA). 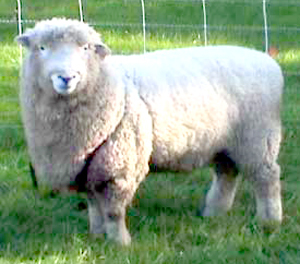 By artificial insemination, Offord 336/98 NZ in 2000 and 2001; Tresco 360/02 Triplet in 2007. 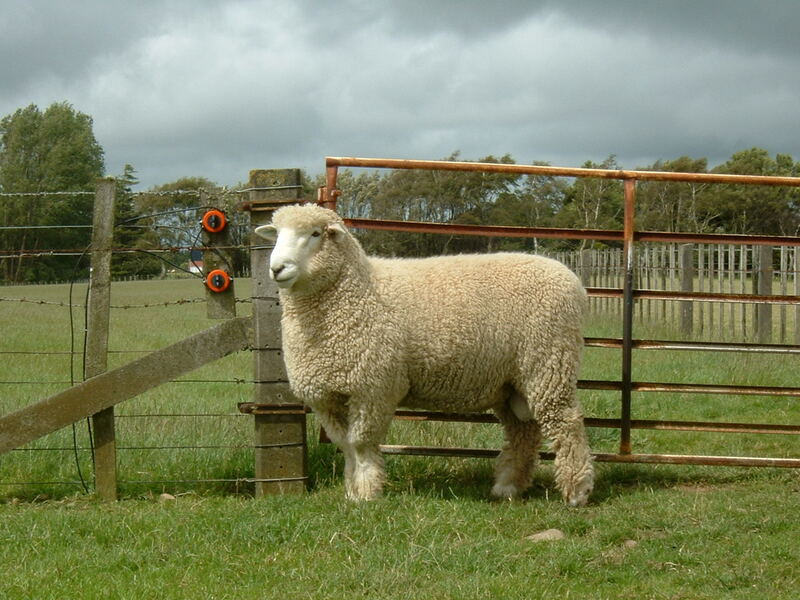 In the years 1999-2014 we weaned close to 1200 purebred Romney lambs, 50.3% males. The male:female ratio varied a lot year to year from a low of 0.78 to a high of 1.38. 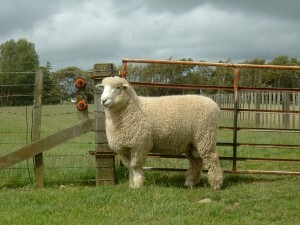 Overall, birth types (by ewe giving birth) were distributed as follows: singletons 31%, twins 59%, triplets or quads 10%. Quads (5 sets in all) were uncommon. We had only two sets in which all survived. Not counting three years when AI had been done in September, the earliest first live birth was January 22. Results from 2014. 2015 and 2016 are presented on the Health page.